Big news here at Cincy Chic headquarters! 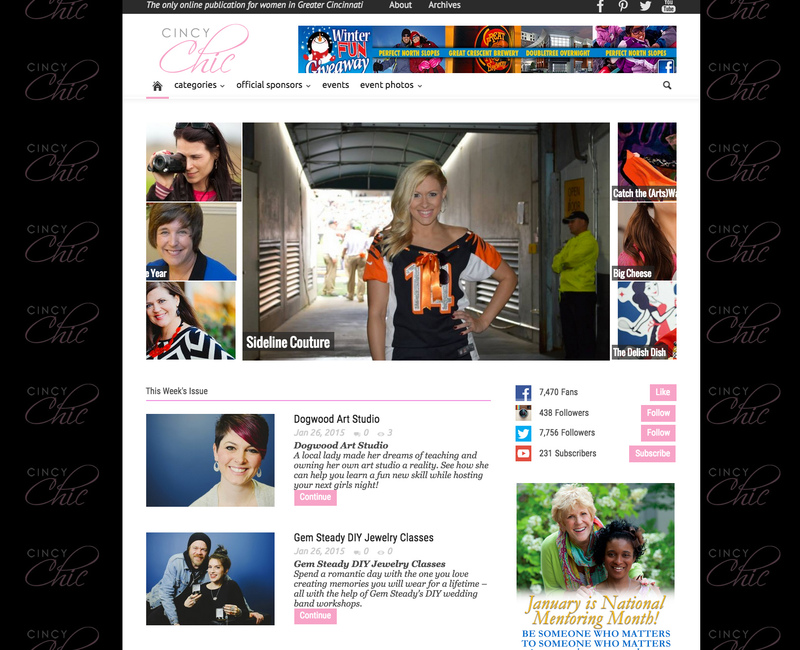 We launched our new CincyChic.com site today! We gave a sneak peek of it at our 8th “Birthday” party on Thursday, and now it’s live! It’s the first time in 8 years that we’ve revamped the site, so it was a big undertaking, but I’m SUPER pumped about it. Not only is it more SEO and mobile friendly, but it’s also easier to navigate by a specific topic (i.e., search for “Boutique” in “Hyde Park” versus just the story’s category of fashion, health, beauty, etc). It’s also just more visually appealing with larger photos and easy to share social media buttons. Hope you enjoy! Previous PostSoho Boutique Opens Online Shop!Next PostThree “Go Red” Dresses at Macy’s!